Browning HP (Blue), Mec-Gar 9mm Caliber Magazine, 10 Rounds is rated 4.0 out of 5 by 5. Rated 5 out of 5 by 18bravo from Great value! This is a simple, well-made magazine that does the job w/o costing a lot of money! Rated 5 out of 5 by Marty from Mec-Gar magazine The construction and finish are excellent. 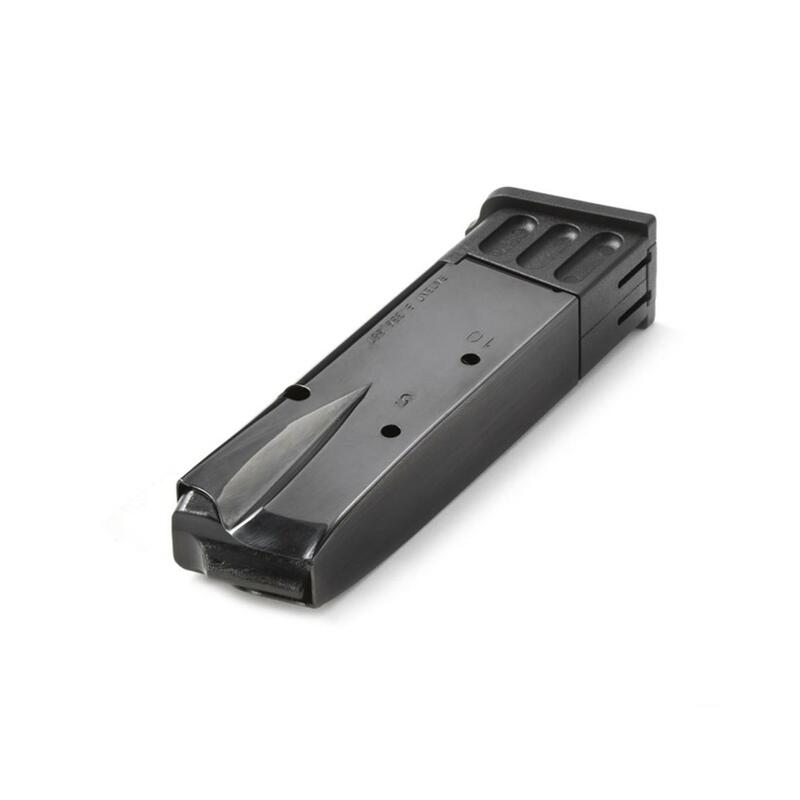 Most important, the magazine feeds cartridges into the chamber reliably. Without consistent performance, good blueing means nothing. This magazine and my Browning P-35 are good friends. Rated 1 out of 5 by Good guy from Only holds 9 rounds of 9mm Luger ammo. Not too happy that the mag will only hold 9 rounds. I've tried loading and unloading several time, but no luck getting 10 rounds in it. I have not tried firing the gun with it, but it appears to fit the gun well, so I suspect it will feed the rounds, if it doesn't I will be really unhappy with it.